If Facebook news feeds are anything to be believed, Pirate Kings is the new Candy Crush. Mostly due to the number of inane requests that are sent out to unsuspecting friends. Instead of ranting on about how many people will be unfriended if they continue with such requests, here is how one can turn off notifications from Pirate King forever. Note: This also works for other Facebooks apps that become annoying. Facebook has had the option to ignore requests for a while now, and it is hidden away under the drop down menu located on the top right of each post. 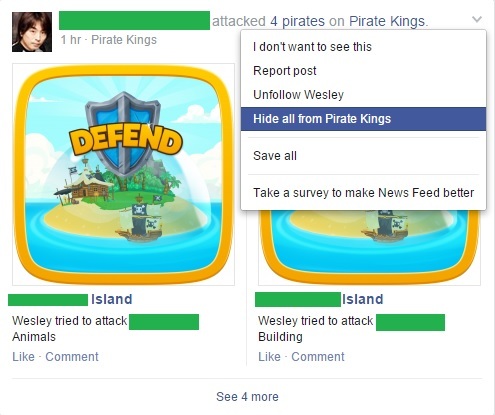 All you have to do is click on the option to “Hide All From Pirate Kings” and Facebook will automatically prevent it from appearing on your wall. Another option is to go into settings and just simply block the app in the settings menu. Simply click on the downward pointing arrow at the top right of the display on a desktop to bring up the menu and select “settings”. From there, select the blocking tab on the left of the page, and tell Facebook to block whatever app currently offends you. 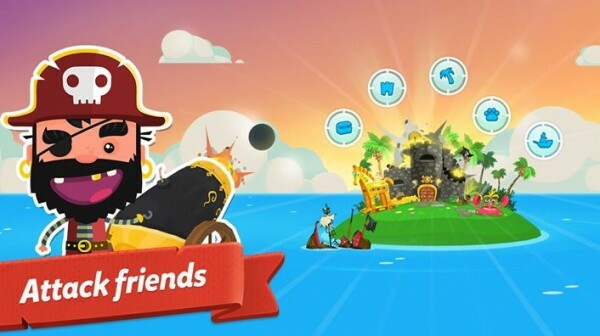 Finally, if you are one of those people who are currently enjoying Pirate Kings, try not to annoy too many of your friends by disallowing the app from posting on your behalf. Each Facebook app is able to post things on your behalf by default; although some will ask for permission to do so. Turning off the posting requires entering the app menu and editing the settings of the app by selecting the options (which can be accessed from the gear icon next to the app name). This is also a reminder to be considerate with your Facebook game requests; while many people undoubtedly share your enthusiasm for the game, there are just as many who would rather not deal with them. The last thing anyone wants is for friendships to end over something as silly as a Facebook game.